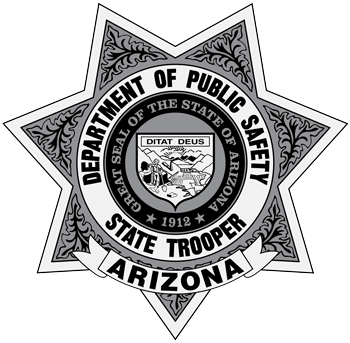 During FY2016, the AZDPS Highway Patrol Division (HPD) made significant improvements in the technology troopers use to improve efficiency while investigating collisions and completing traffic enforcement. The Traffic and Criminal Software (TraCS) is an electronic citation and collision program troopers use statewide. The program allows troopers to quickly scan driver’s licenses and vehicle registration forms instead of handwriting information from the documents. This technological advancement allows troopers to spend minimal time when completing citations, warnings, and collision investigations and significantly reduces the amount of time motorists and troopers spend on the side of the highway; with less manual input required on behalf of the trooper, the accuracy of the data is increased. In the middle of FY2016, the HPD released TraCS Live, which instantly sends information from the eld to a server and make it available to analytical staff. In turn, this allowed the Highway Patrol Division Analytical Unit to create up-to-date information that can be distributed back to the field. This information is used by troopers to position themselves in areas where they are most likely to reduce collisions. The transition to the live platform also allowed the department to report stats in a streamlined manner to the Arizona Governor’s Office of Highway Safety (GOHS).